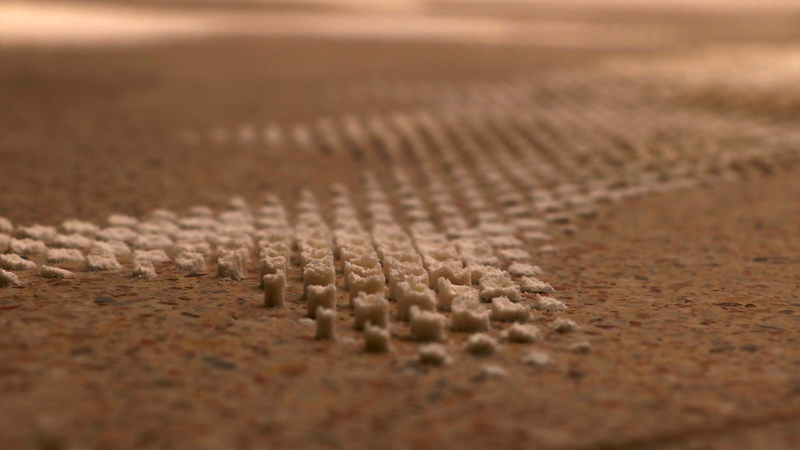 This arwork was made by sprinkled flour on the floor. Photos of fishes appear by the geometry of the Penrose-tiling. Still lifes ususally shows ordinary objects, what means more than themselves by its composition. The bread and the fish ara symbols of the Messiah, the book is the Book of Fate, the skull is the vruel death and the candle is the mortal life. However, the painters enjoyed still life, the pure representation of objects still a remarkable act. In this installation I wanted to show the fragility and strength of imaging. The fish is more thana fish. The image of a fish is not the perpetuation of the fish, since it is just some flour sprinkled onto the floor. You can destroy it with a single blow.